Chinese smartphone makers have phased off Apple from the top five smartphone makers in the world’s most populous nation. 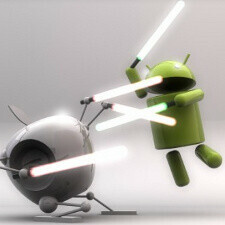 With an upsurge of affordable Android devices from Chinese vendors, Apple is way too expensive to be able to compete. "(The Chinese vendors) are selling their devices at a very low price that can attract first-time smartphone users," Nicole Peng, a Canalys analyst said. "Apple's iPhone is still very expensive and it kind of limits their expansion in the country, when the target audience of where the growth is coming from is at the low-end." The Chinese market is showing very interesting dynamics with Lenovo quickly rising to the top and having an opportunity to outrun Samsung. Coolpad is a local company that is not widely known outside of China. A brand of Yulong Computer Telecommunication Scientific, it is another brand that offers affordable smartphones, sometimes even below the $100 mark. In the third quarter of 2012, smartphone shipments in China stood at more than 50 million units. While most smartphones in the country of over a billion sell for between $70 and $120, the iPhone 4S is priced at the whopping $713 off contract. Yeah...what eo expect "...While most smartphones in the country of over a billion sell for between $70 and $120, the iPhone 4S is priced at the whopping $713 off contract." its a good news that apple not actually hypnotized all races. Thx for the moderation. Interestingly, Chinese customers often have two (or more) contracts and many prefer using dual-sim devices, the availability of such products have a major impact on the success of certain brands. Thumbs up for xiaomi! bring these phones to the world! (just make sure you aley all potential issues). People can make fun of cheap phones all they want, it gets market share and takes away purchases from more expensive models. Apple thinks they can use the US model of pricing in China and this shows it doesn't work. Doubt they'll ever figure it out. You get 400 dollars less than what you pay for. Most people know that, that's why many people switched to Android and Win8 phones quietly. Overpaying doesn't make you smart or the product any better. I could buy a piece of toast that looks like Jesus for $1000 on ebay. Now tell me that is a good deal?